Though forced air heating is more common in UK businesses and American residences, most UK residents rely on radiant heating systems to heat their homes today. They may seem old-fashioned to some, but radiators provide consistent and comfortable heating. Radiators keep interiors warm without the dry heat of warm air heating, and the systems last for a long time. Radiator maintenance is minimal, but it is important to make sure you do it properly to keep your system running efficiently. Ready to learn how to care for your radiator system? Read on to find out which tasks you can complete yourself, and which are better suited to a professional. Radiant heat is driven by hot water. A closed system consisting of a boiler and connecting pipes are filled with water, which is heated by the boiler to over 87 degrees Celsius. A pump pushes the hot water through the pipes and into strategically placed radiators, which heat the air around them. Once the water cools down, it returns to the boiler. This closed system constantly recycles water by returning it to be heated again. This means you have an efficient system that uses minimal utilities. One big benefit of radiant heat is that it is great for your home environment. While forced air systems may be more powerful, they also dry out the air around you and force dust and particulate around your home. Radiant heat can also be more consistent. Older radiators are typically made of cast iron, which is very heavy and retains heat for a long period of time. Newer radiators are made out of lighter, more inexpensive material such as steel. Though a boiler and it’s connected pipes are a closed system, air can escape from within the water as time passes. The air, which is lighter than water, rises to the top of the radiators and creates air pockets. As part of your seasonal maintenance, it’s important to bleed this excess air out of the system. The first step is to turn off the system and allow the water to cool. Alternatively, you could perform this maintenance shortly before the weather cools down, before you’ve turned it on for the first time. Your radiators should have a small valve toward the top. They may have a special key or may be able to be turned by hand. Holding a bowl under the opening below the bleed, turn your valve counter-clockwise and listen for a hiss as air escapes. When you turn the valve, the pressurized system will force air out. Leave the valve open until water comes out, then close it by turning the valve key counterclockwise. It’s normal for the water in the lines to look murky or dirty, so don’t be alarmed. After the system is bled of air, you will next want to check the boiler pressure. Open the service panel on the boiler, and look for a temperature and pressure gauge. A cold boiler should read 1.3 bar, depending on manufacturer, and a hot boiler should read 1.5-1.8 bar. If your boiler falls under these pressure guidelines, you may need to add more water to the system. A cold water pipe that leads into your boiler can be opened in order to allow more water in, which you should do while closely watching the pressure gauge. Shut the cold water valve when your gauge hits 1.3 bar. If you do accidentally bring the pressure above 1.3 bar, your system will have a pressure relief valve. Be aware that this valve will evacuate water to balance the system, and make sure you have a large bucket underneath it to catch any water that spills out. You can also use this valve to release water if your gauges are reading too high from the beginning. Your boiler is powered by a combustion chamber, which provides the fire to heat the water. If the chamber collects too much residue, it may not perform efficiently. Cleaning out the chamber is dangerous due to fire risk, so it is advised to have a professional service this element of your system every few years. With these tips, you’ll have a better idea of what radiator maintenance you can do each year to keep your system working efficiently. A properly maintained system can last for decades with little work. Always use caution with your radiator system, ensuring the water is cooled and safe before attempting any of these maintenance tasks. 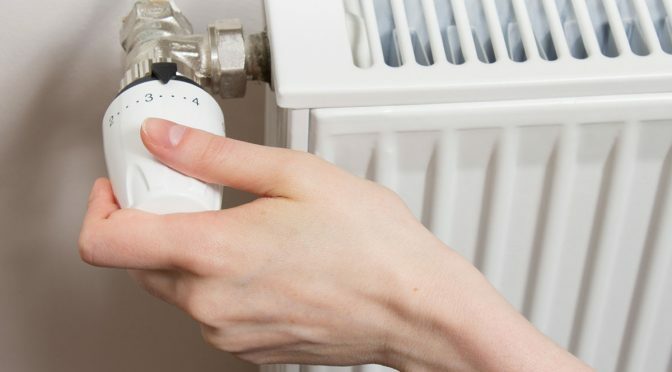 Though radiators are very safe, any maintenance performed when the boiler is hot can result in severe burns from hot water or steam. If you’re looking for high quality and designer radiators, visit us at Bathroom Radiators UK today! Previous Post5 Essential Radiator Safety Tips Everyone Should KnowNext PostShould You Turn Off Radiators in Rooms You Don’t Use?